On 14-15 November 2018, the 2nd ModuleWorks Insider Conference (MIC) 2018 took place at the Tivoli Stadium in Aachen, Germany. 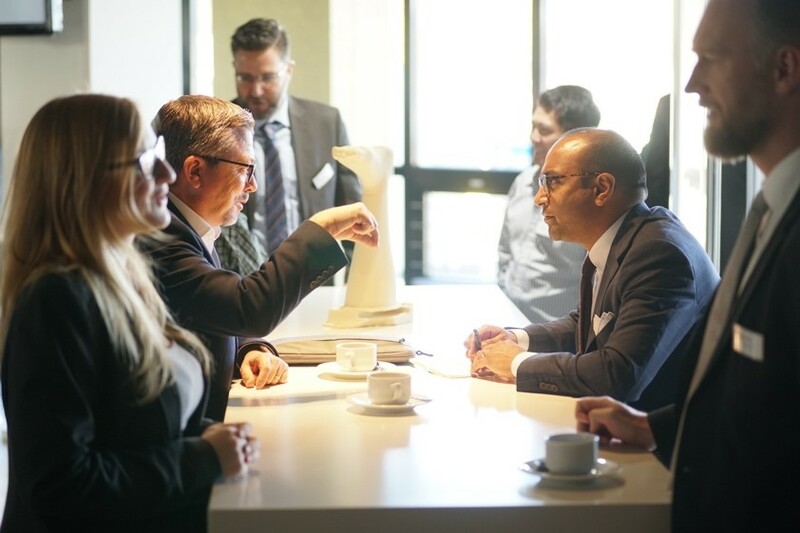 The modern and beautiful location offered the perfect setting for enjoying the fascinating presentations and steering the roadmaps for the future development of the ModuleWorks components. After welcoming the guests to the MIC 2018, two full days of presentations about the latest CAM features, 5-axis machining, additive processes and machine simulations got underway. A highlight of this year’s conference was the key note speeches by invited guest speakers from Siemens PLM Software, Huron Graffenstaden and Sandvik Coromant who shared their experience and knowledge on AGILE development processes, the benefits of job setup data for collision avoidance strategies and how tool designs and CAM algorithms need to work together. The three insightful presentations added a special touch to the event. In addition to expert presentations, the specialized workshops enabled participants to go into greater detail on specific topics such as 3-axis and 5-axis machining and simulation. There was also a Lab Area, where visitors were able to learn extensively about our research projects and developments and how ModuleWorks toolpath and simulation technology benefits industries beyond the classical CAD/CAM and CNC markets. Another highlight was the possibility to hold 1:1 meetings in the football stadium’s exclusive VIP Lounge. Thank you ModuleWorks for such a great event! It helped me to understand multi-technical things. It was great meeting the ModuleWorks team and other business associates from other companies." To take some time out between the sessions, there were fun activities like table football, a photo booth and slot car bikes. In the evening, a delicious dinner was served with another special highlight as dessert: A chocolate fountain with local Lindt chocolate. The opening of the cocktail bar completed the eventful day. In summary, the MIC 2018 was a fantastic opportunity for networking and discussing important developments in the industry and the ModuleWorks technology. It was a great event with a positive atmosphere that was boosted by the special highlights. Thanks to all participants, we hope to see you again at the next MIC in spring 2020. IDS is the leading global trade fair for the dental community, which ensures sustainable success as a platform for innovation and market trends. Digitization, integration and automation. These major trends they bring to the wood industry will remain high on the agenda at LIGNA. ModuleWorks is the leading software component provider for the CAD/CAM industry. With over 170 employees and 700 man years of software development, ModuleWorks’ expertise in toolpath creation and simulation is recognized throughout the industry and its software components are integrated in over 500,000 installed seats of CAD/CAM software around the world. From standard products to exclusive development projects, we work closely together with you to bring your own vision of Industry 4.0 to life. Our comprehensive product portfolio and cutting-edge software components enable you to optimize your CAD/CAM solutions and connect to CNC/MTB systems to increase your competitiveness and help you Get There Faster.